We all know there is no shortage of haunted house movies in the horror world. We've seen it all from The Amityville Horror to Paranormal Activity (its sequels and spoofs) to Sinister and on and on. It's a never ending cycle. Personally, I'm not a big fan of paranormal films but I've certainly seen my share of good ones and abhorrently bad ones. Unfortunately, in my experience the bad outweigh the good. Lisa (Abigail Breslin) is your average rebellious teenage girl... well not really your "average" teenager. You see, she and her entire family are dead. Trapped for eternity, in a house surrounded by a menacing fog, with her parents (Peter Outerbridge and Michelle Nolden) and brother (Peter DaCunha). As if that weren't bad enough, they're all forced to relive the same day over and over again. Did I forget to mention the menacing spirit (Stephen McHattie), known only as The Pale Man, determined to keep their souls contained in the house. Lisa must not only convince the rest of her family that they're dead but she is also challenged with finding out why. 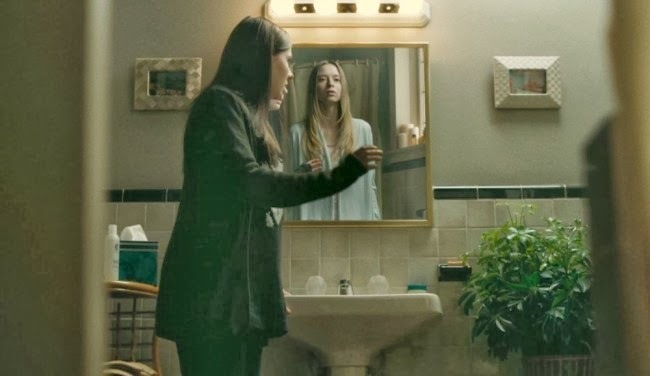 It is during this search that she discovers she is connected to the world of the living. By touching objects, she is able to channel herself into that world (present day) through young Olivia (Elanor Zichy), who now lives in the house with her family. 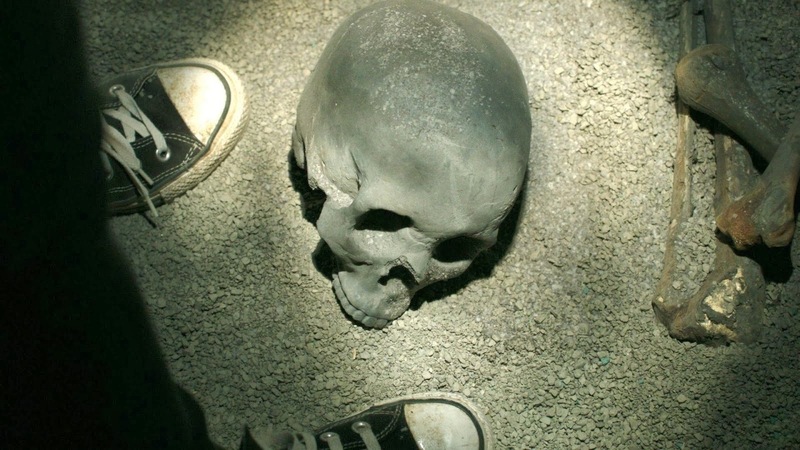 Dead and alone, Lisa is challenged with saving the souls of her family and lives of the people now living in the house. As you would expect, there are some outstanding performances in this movie. Breslin is beautifully compelling as Lisa. And if you're not aware of my love for McHattie, then you haven't been following for very long. He's a brilliant character actor and always a force to be reckoned with on screen giving no less than 100% at all times. There are great performances from Outerbridge and Nolden as Lisa's oblivious parents. An all around superior cast, needed to tell such an intricate story. 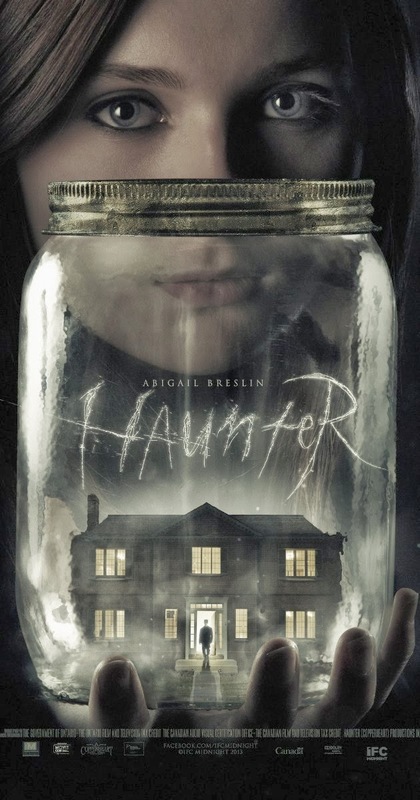 Haunter plays like a mix between Groundhog Day, The Others and The Amityville Horror. Director Vincenzo Natali brings life to this well written and complex story with the help of some beautiful cinematography by Jon Jofflin. Haunter is a slow burn horror that reveals itself a little at a time and comes together quite nicely in the end. If all paranormal films were like this one, I might be enticed to watch them more often. I would recommend this one to fans of the paranormal sub-genre. It's currently available on Netflix and Amazon instant.